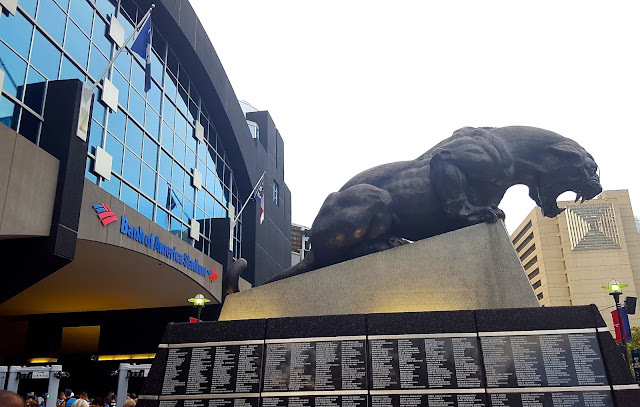 Mike and I spent the last three days in Charlotte, North Carolina. It's only 3 hours or so from Charleston, so we thought it would be a great weekend getaway. 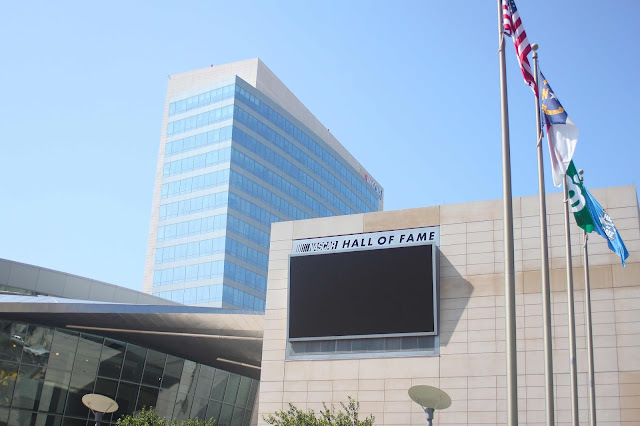 Around our anniversary last year, we took a weekend trip to Atlanta, so why not try another city?! 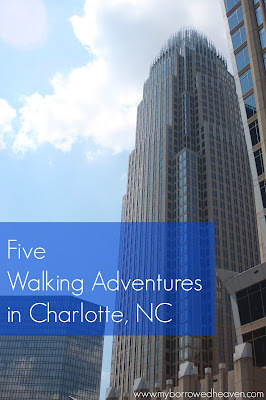 This was our third time to Charlotte since moving to the South, but the first real weekend where we had time to visit a lot of the places we had on our bucket list. 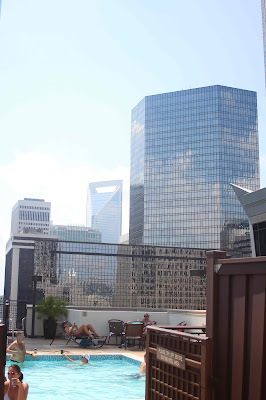 We stayed at the Holiday Inn Charlotte-City Center, and we could not have picked a better spot. My favorite part was that we could walk to almost everything we wanted to see in the city (and there was a rooftop pool!). 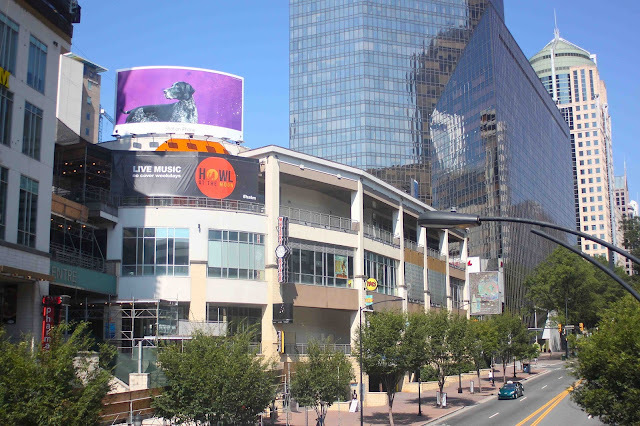 There are nearly 20 hotels inside Interstates 77 and 277 that make a beltway around the city, and staying there, I came up with a list of five things you do not want to miss (and can walk to) in the Charlotte City Center from morning to night! 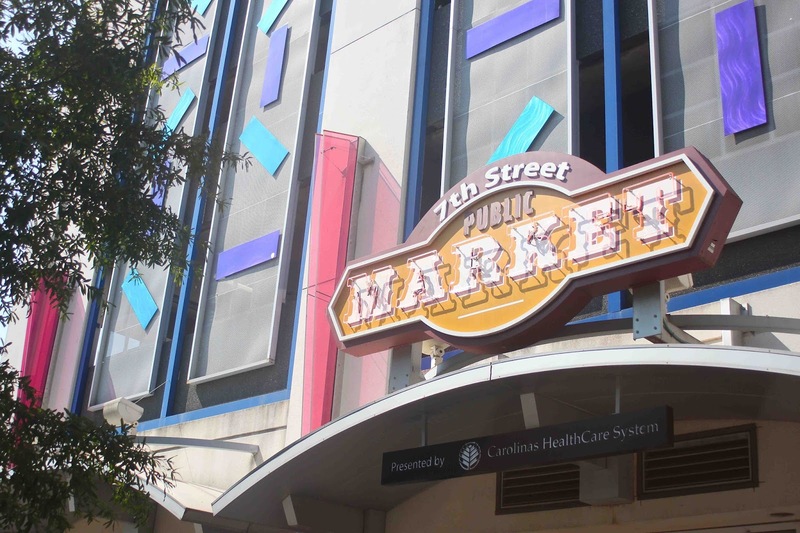 1 ||| 7th Street Public Market - Each morning we started our day here. It's a fantastic group of local and regional farmers, food artisans, and entrepreneurs with more than 15 restaurants and shops. Our favorites were Local Loaf (try the Croque Madame!) and Not Just Coffee. 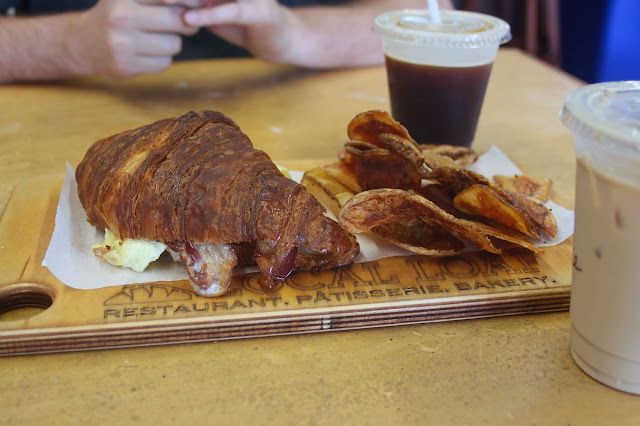 They also have a creperie and bakery as well as a cheese shop (with gourmet grilled cheese! ), sushi bar, pizza counter, and cocktail bar for lunch and dinner. 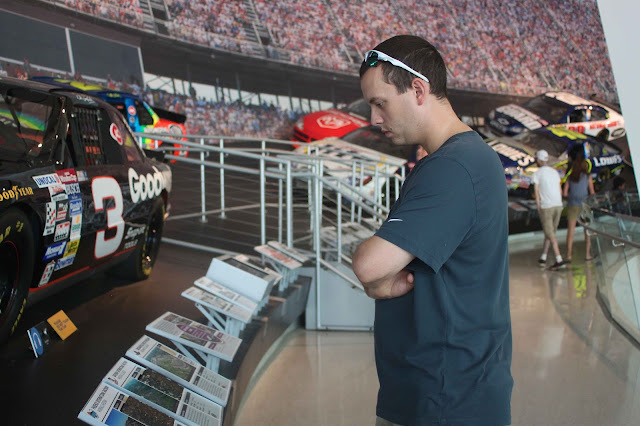 2 ||| Museums - After our breakfast on Saturday, we walked a few blocks down the Charlotte Rail Trail to the NASCAR Hall of Fame. Mike loved Jeff Gordon growing up (like every boy growing up in the late 90s), but that's our collective knowledge of the sport - haha. There were a lot of interactive exhibits on everything from the mechanics behind each car to the history of racing over the last century. 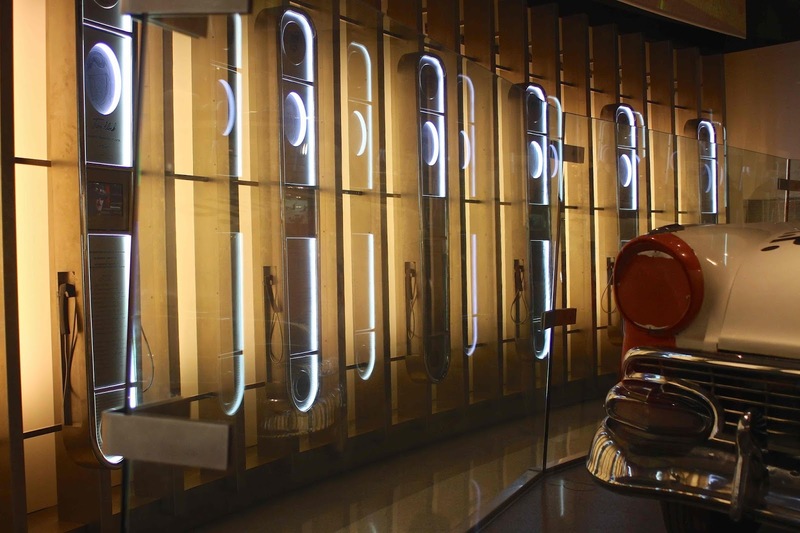 If you're looking for a museum to drive to, outside the City Center, you can also find the Mint Museum and Charlotte Museum of History. 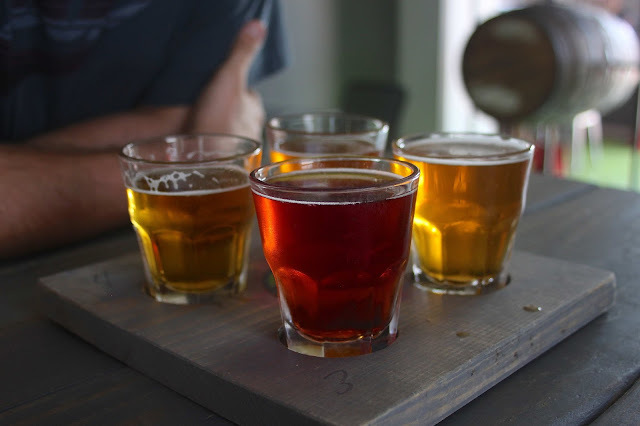 3 ||| Breweries - There are so many fantastic breweries in the Charlotte area, and thanks to Chesson for all the suggestions! We decided to stick with two that were walkable, but another great way to see them is on the Funny Bus that I did back in March. 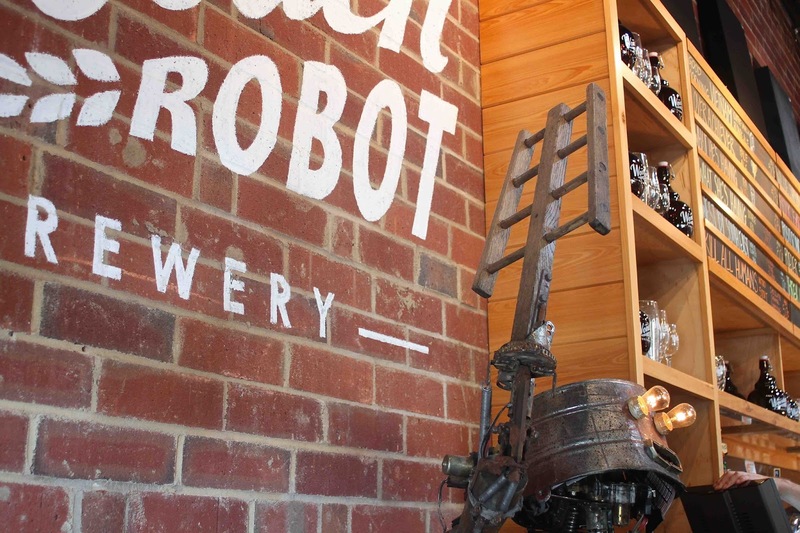 We went to The Unknown Brewing Co (loved the Ginger Wheat and Let's Get Tropical IPA) followed by Wooden Robot Brewery (try the Good Morning Vietnam!). 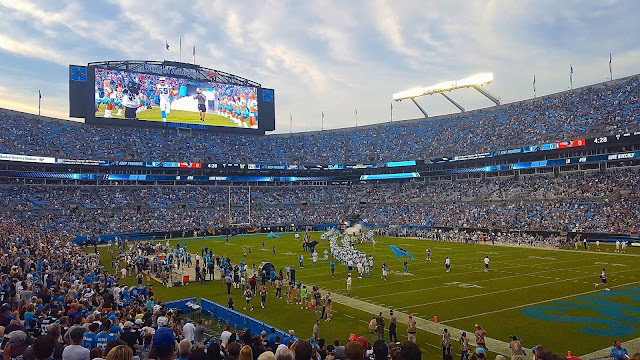 4 ||| Sports - We went to a preseason Panthers game this trip at Bank of America Stadium (loved our first game last year that we just had to go back! ), but Charlotte also has The Hornets NBA team at the Spectrum Center (formerly Time Warner Cable Area). Both are right in the middle of the city; something so different than almost every other city! 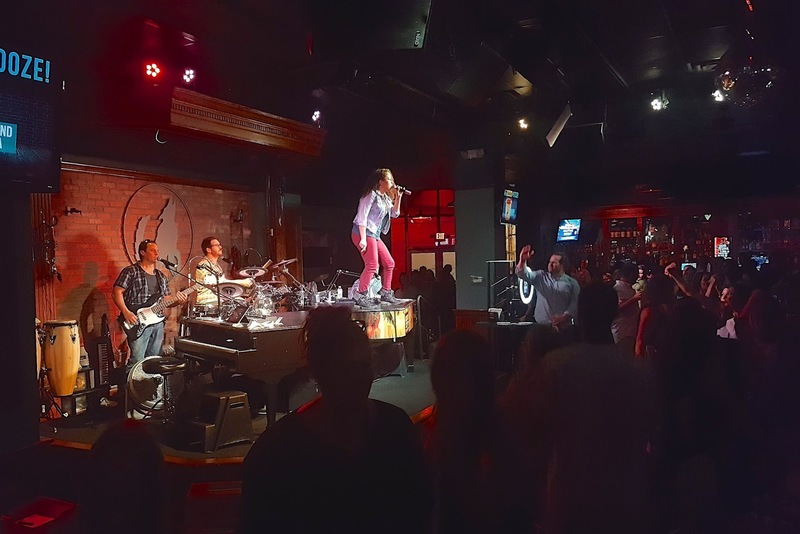 5 ||| The Epicentre - Our first night, we grabbed beers, chips, queso, salsa, and split a burrito at Vida Vida after the football game (their prices are fantastic), and then we could not wait to go to Howl at the Moon on Saturday night for their dueling piano bar. Again, we were only two blocks from our hotel, so it made travel so easy! The last stop on our way out of town (even though it was about a 15 minute drive) was IKEA. My FAVORITE!! We had a fantastic weekend and definitely suggest it for a weekend adventure! what a fun weekend! you really did a lot of fun stuff. 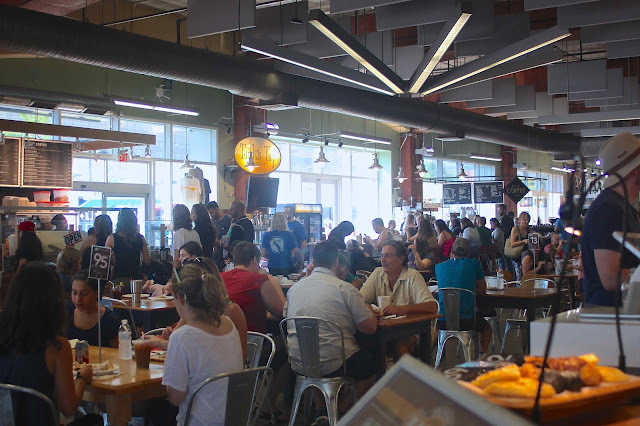 i think that 7th street market is awesome. give me all the coffee ha. and who doesn't love a good NFL game?! happy monday girl! You had a pretty full weekend in Charlotte! 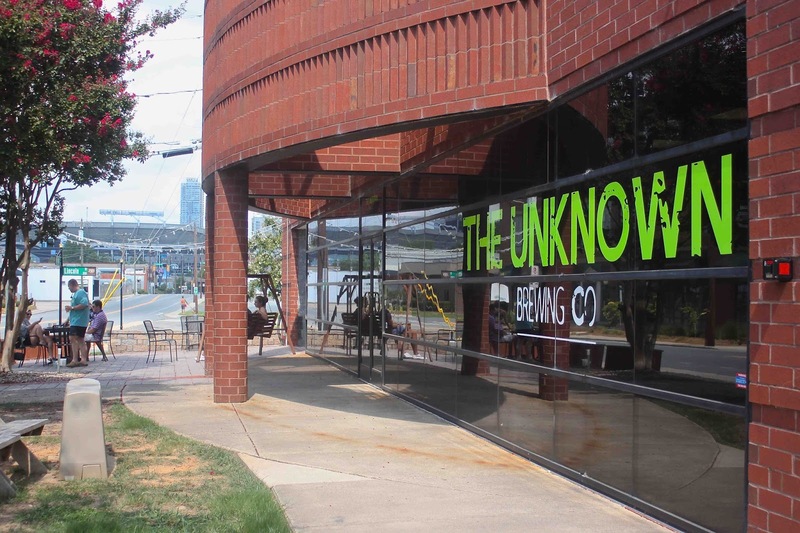 I'm glad y'all made it to Unknown - that's one of my very favorite breweries in town. Happy Monday! Chesson is definitely the gal to talk to about breweries :) This looks like so much fun!! Another great city that I haven't visited yet! Thanks for sharing the must sees. I enjoyed reading this! I love Charlotte!! It's such a neat city, I love it. 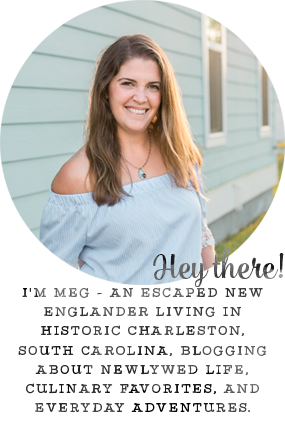 Great things of things to do in Charleston...I'll definitely keep these in mind for when we finally make it there to visit! 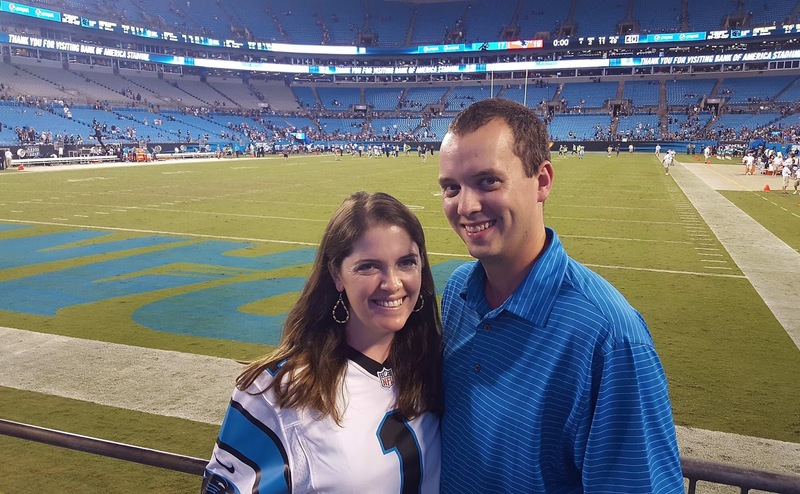 My husband will definitely love the breweries and sports while I take in all the Charleston Charm and the good food. Awe what a fun weekend getaway! I love hearing good things about Charolette. I'm looking at applying to a company in Charolette, so I'm looking forward to going to visit one weekend and seeing if it's a city I could envision myself living in. Ah this looks amazing and makes me want to book a trip right now! You guys fit a lot in on your trip! Glad you had fun! 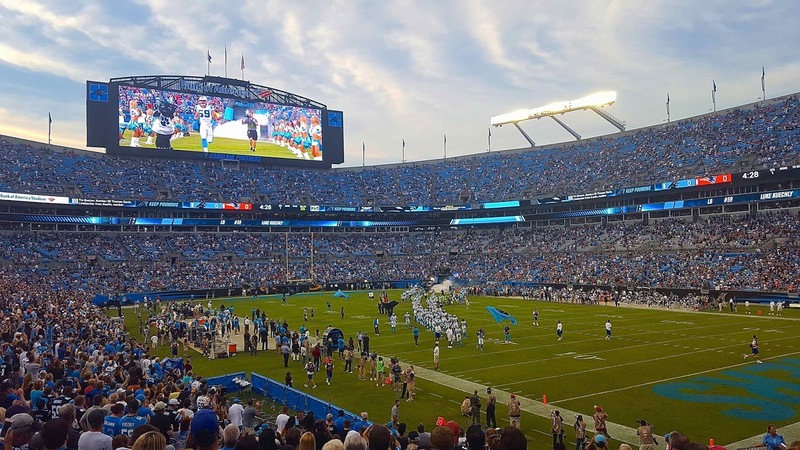 We go up to Charlotte a few times a year, especially for football and love it! We've stayed all around the city, but it's great being around epicenter. Before the ACC Championship last year we went to Howl at the Moon and didn't leave because we had so much fun! Great city to visit, and such different vibe from Charleston. 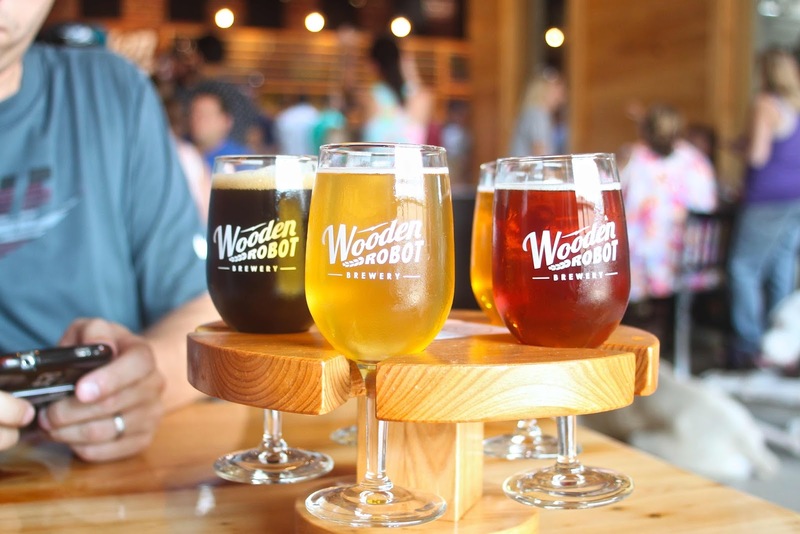 I think I need to go to Wooden Robot! When we move to Raleigh, my in-laws want to move to Charlotte, so we will hopefully be in this area often!